UK Releases & Waivers. Ready for immediate use. Full and Final Release (England and Wales) This Full and Final Release is designed for use in England and Wales. This legal form is available for immediate download. Mutual Release (England and Wales) This Mutual Release is designed for use in England and Wales. This legal form is available for immediate download. Release of Accident Claims (England and Wales) This Release of Accident Claims form is designed for use in England and Wales. This form is available for immediate download. Settlement and Release - Litigation Ongoing (England and Wales) This Settlement and Release Agreement - Litigation Ongoing is designed for use in England and Wales. This legal form is available for immediate download. Waivers & Releases Combo Package (England and Wales) This Waivers and Releases Combo Package is designed for use in England and Wales. This combo is available for immediate download. Indemnity Agreement (England and Wales) Indemnity Agreement for use in England and Wales. Talent & Model Release (England and Wales) This Talent / Model Release is designed for use in England and Wales. This form is available for immediate download. Talent & Model Release for Minors (England and Wales) This Talent / Model Release for Minors is designed for use in England and Wales. This form is available for immediate download. Waivers & Releases Combo Package (England and Wales) Get 8 forms for just $16.95. Save 58%! This Waivers and Releases Combo Package is designed for use in England and Wales. This combo is available for immediate download. 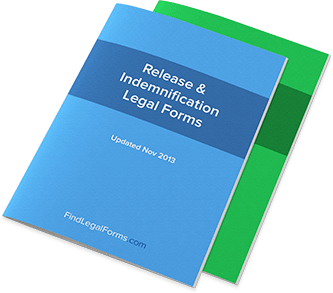 Release Forms Combo Package (England and Wales) Get 5 forms for just $14.95. Save 59%! This Release Forms Combo Package is designed for use in England and Wales. This combo package is available for immediate download. Waivers & Releases Combo Package (England and Wales) Get 8 forms for just $16.95. Save 58%! This Waivers and Releases Combo Package is designed for use in England and Wales. This combo is available for immediate download. Activity Releases Combo Package (England and Wales) Get 8 forms for just $26.95. Save 61%! This Activity Releases Combo Package is designed for use in England and Wales. This combo package is available for immediate download.